Since becoming Music Director in 2004, John Mattern has tripled enrollment, mentoring hundreds of students and encouraging a lifelong study and love of music. Classical music station KDFC named Mattern 2006 Music Educator of the Year, selecting him from among 600 school music teachers in Northern California. Mattern was first drawn into music as a sax player at age 12. He got serious at age 17 when he took up the 5 string banjo and bluegrass music, and ultimately went on to earn a Masters Degree in Jazz Studies from the New England Conservatory. An eclectic multi-instrumentalist, proficient in classical, jazz, folk, rock, blues and Americana genres. Learn more at www.johnmatternmusic.com. 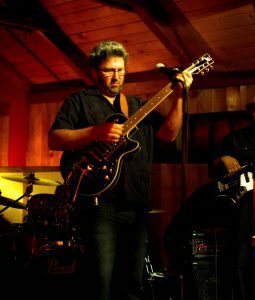 Jeff Massanari is one of the SF Bay Area’s most in-demand jazz guitarists, and has performed throughout the world with many premier vocalists and instrumentalists. In addition to performing with his own groups, Jeff regularly plays with The Johnny Nocturne Band, The Murasaki Ensemble, Swing Fever and countless other musicians in the Jazz, Blues, and World music genres. Jeff’s original compositions have been featured on network TV and video. His first four CDs received excellent reviews and he recently released Groovework, an all-original jazz-funk CD. Jeff has taught at U.C. Berkeley, The Jazzschool, Jazz Camp West, Bruce Forman’s Jazzmaster series, and Blue Bear Music School. Jeff studied performance and composition at Boston’s Berklee School of Music. Learn more at www.jeffmassanari.com.